THE CLASSIC STAR WARS X-WING has been reimagined as a high performance Hot Wheels racing car, powered by a 2.0 litre 16-valve DOHC engine. 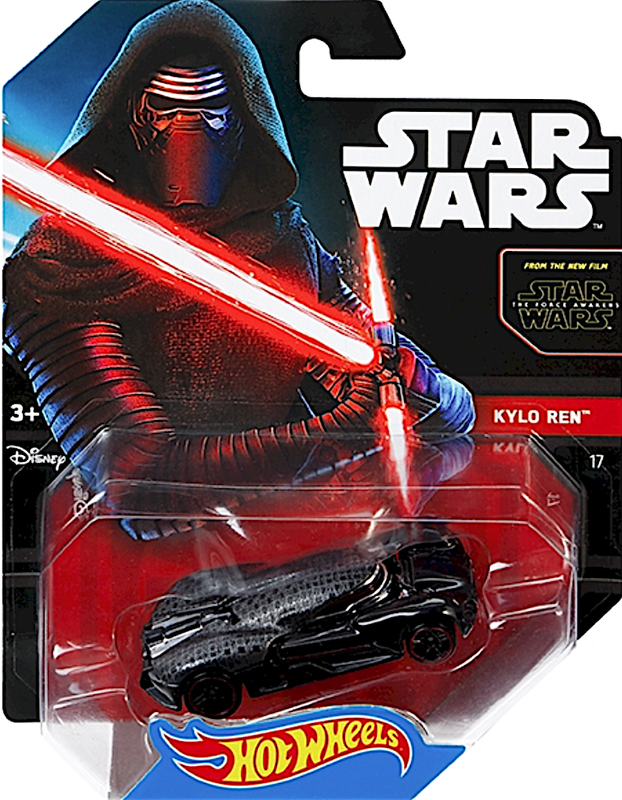 SMN report: According to Hot Wheels, the X-Wing Fighter Carship features: 'AP dual-piston calipers with slotted rotors, and custom slick tires to out-maneuver the Empire and save the galaxy.' Quite what the extra turbine engines around the body are for isn't mentioned - we guess they are boosters for upping performance when needed. And the X-Wing mini-wings will do nicely as aerofoils for high speed running, with the laser cannon maybe useful for dissuading any potential overtakers. The X-Wing Fighter Carship launched at the San Diego Comic-Con International on July 20, and will be released as a 1:64 scale collectible later in 2016. Other Star Wars vehicles in the Hot Wheels line include Kylo Ren's snarky-looking black vehicle (below). Click here for more Hot Wheels info. Click here for the San Diego Comic-Con.